Heartland and Al Ahly shared the spoils with a 1-1 draw in Nigeria in qualifying Group B. 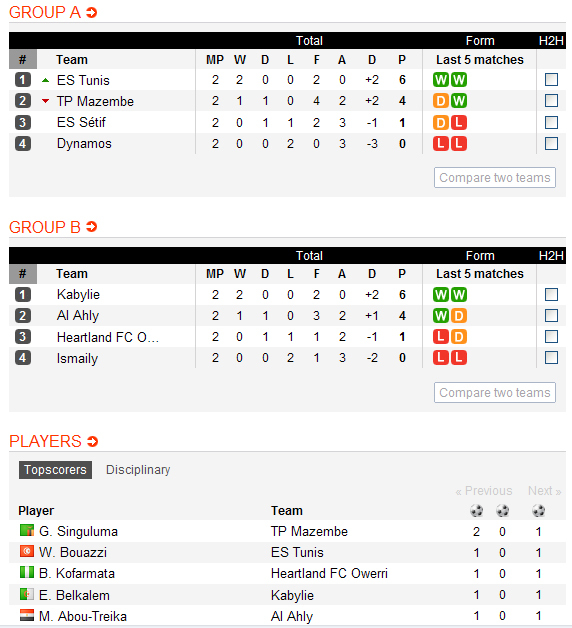 In the same group Ismaili bowed out with the narrowest of margins at home to Algerian JS Kabylie. Well, Ismaily provided us with yet another display of lack of consistency and determination on the continental level. They need more attackers maybe...but why on earth haven't they already thought of that?